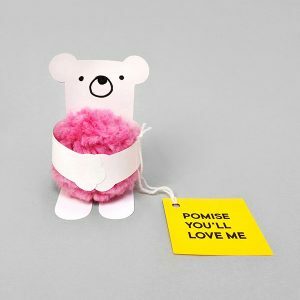 The fluffiness of a teddy bear’s face inspired our new pom pom project. We made a mama bear pom pom and a bear cub pom pom using two different sized Pom Makers. 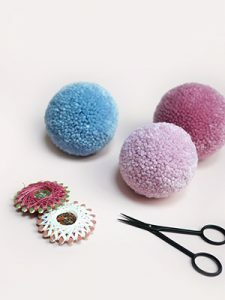 Both Donut Pom Maker (medium size) and Macaron Pom Maker (small size) are used in this tutorial to show you how you can make different size pompoms with the same method. You'll need to choose a few shades of brown colors. Pick your main face color, then a lighter shade for the muzzle area, plus a very small amount of yarn that's a shade darker than the muzzle color for the mouth. You can use the same color yarn for both the main face and the muzzle for a simpler version like the baby bear pompom in the tutorial. A little bit of black yarn for the nose and the eyes. 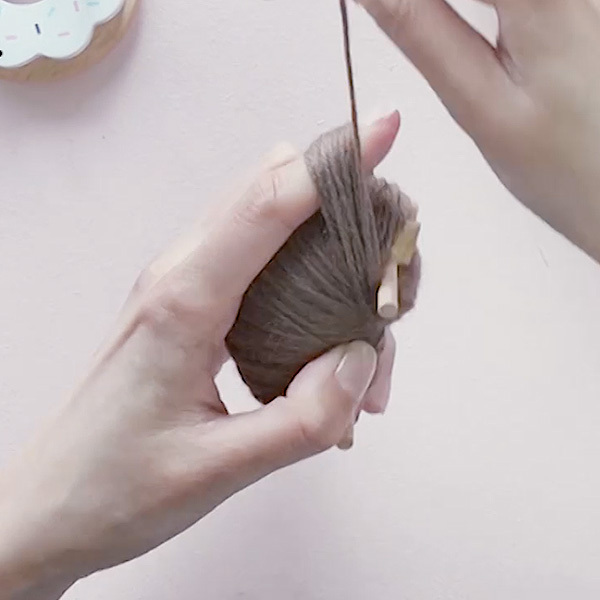 If you're an experienced pom pom maker, try adding a cute tongue by adding a bit of pink yarn. 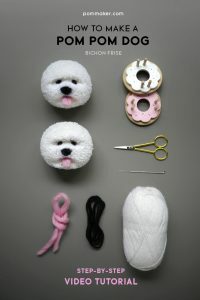 The method for this is shown in our pompom dog tutorial. Waxed thread is optional, but highly recommended. Use very strong non-slip thread if you can. You can also use dental floss. 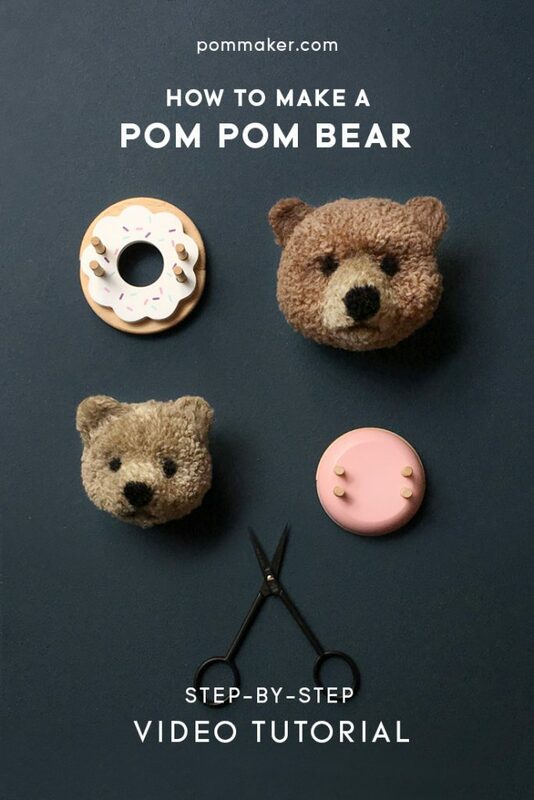 For the main instruction, we’ll use a Donut Pom Maker (medium size) for making a mama bear. 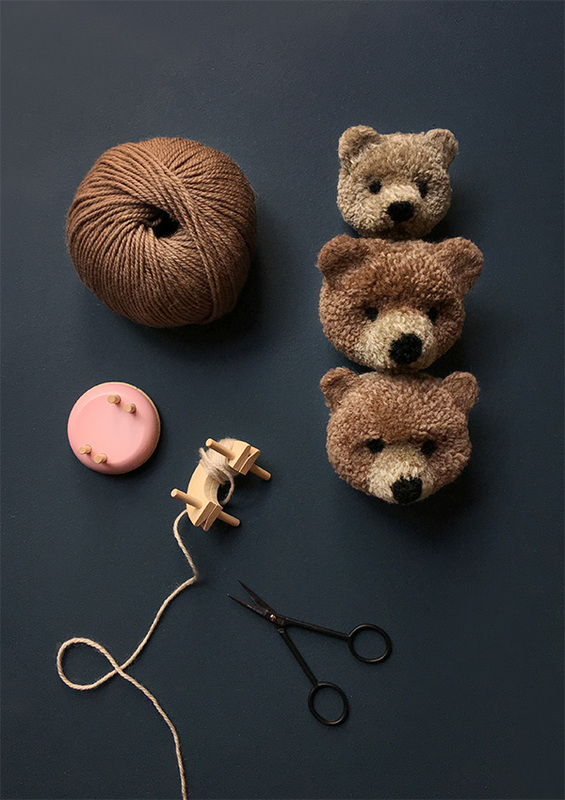 You can use a Macaron Pom Maker (small size) to make a smaller baby bear. There’s short footage showing this at the end of the video tutorial. The method is exactly the same, except you’ll need to reduce the number of wraps slightly for each step. Wrap approx 18-20 counts of black in the middle, but slightly off to one side on your Pom Maker. Wrap it tightly covering approx. a finger tip width. The shorter side from the nose will be the chin and the other side the top of the head. Wrap one layer of dark brown yarn (a shade darker than the muzzle color of your choice) right next to the nose, about half way towards the end of the Pom Maker. Wrap your muzzle yarn all over the nose and mouth. Start from above the nose and wrap all the way to the other end. It will cover approx. 2/3 of the Pom Maker. Build up about 5 layers. The area wrapped above the nose will naturally be fatter. 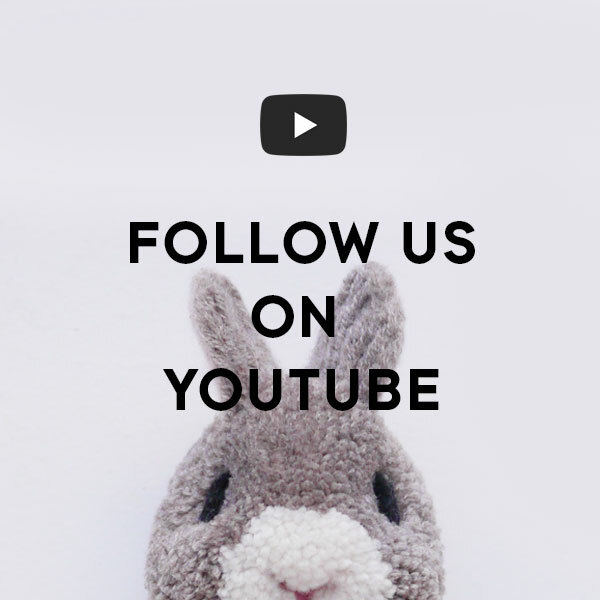 You can use the same face color yarn for the muzzle for a simpler design as we did for the baby bear in the video tutorial. 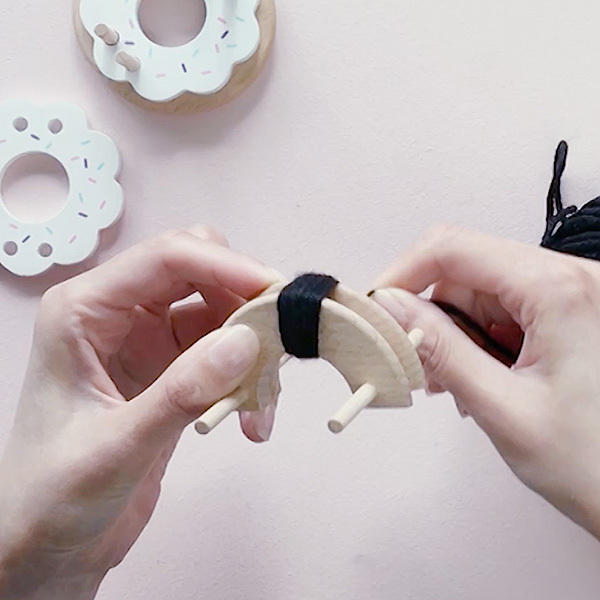 Now wrap some of your main face yarn on the exposed area of the Pom Maker. Overlap the muzzle yarn slightly as you do it. Build up about 3-4 layers. Wrap the black yarn very tightly where the two wrapped parts meet. Wrap about 12 times in a very small spot. The side with the eyes will be the top of the head. Remember this side or make a little knot on the bar on this side of your Pom Maker to mark it. Now wrap the brown yarn for the face all over the Pom Maker. Continue building many layers until your Pom Maker is full. Put your finger lightly over the head end (the side with the eyes). Wrap more brown yarn over your finger approx. 18-20 times. 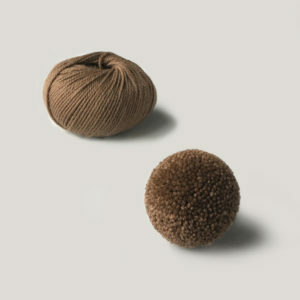 Wrap the other half of your Pom Maker in solid brown yarn. This will be the back of the bear’s head. 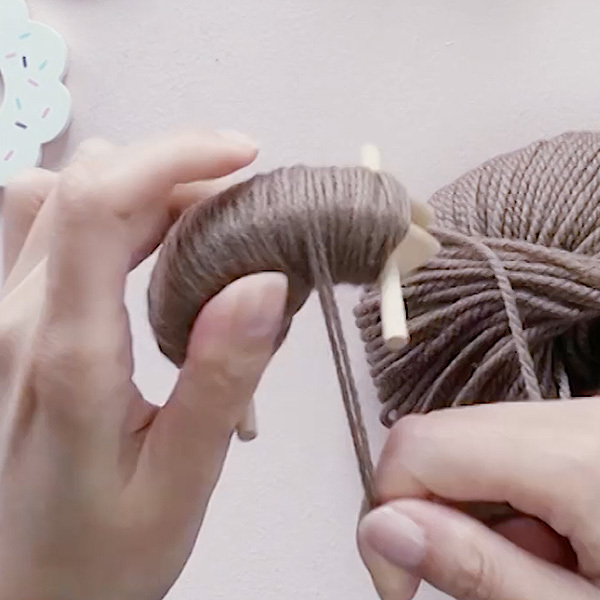 Hold two or three strands of yarn together to speed up your wrapping. Bring the two halves together and put your frostings on. 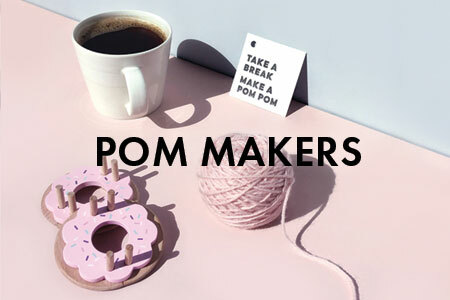 See this post to learn how to use our Pom Maker if you’re new to it. Cut through the middle. A bear’s face will emerge! Run waxed thread around the Pom Maker, make a knot and pull hard. Repeat this a few times to make a very strong tie. 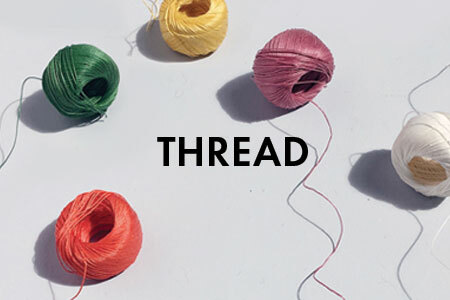 You can use any strong thread if you don’t have waxed thread, however waxed thread makes it so much better and we highly recommend it. 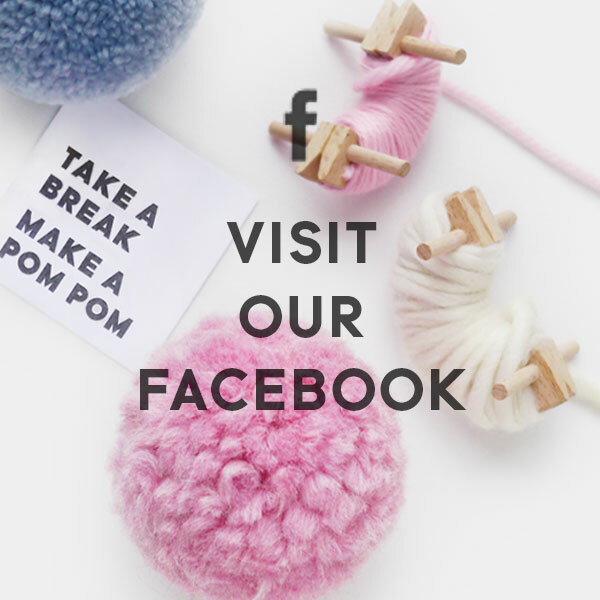 See our full post about it as this is one of the top secrets to making a great pompom! For trimming, start by cutting around the eyes. See the area marked in with a pink dash line in the picture, like a sleeping mask for the bear. Trim yarn in this area. Be careful not to trim the muzzle yarn . 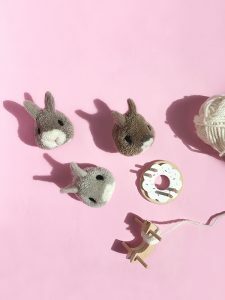 Gather the muzzle yarn and the nose together with your fingers. Poke with a felting needle through this, from outside towards the center. Repeat until the nose and muzzle are nicely held together and shaped. You can also now trim the muzzle yarn slightly and carefully around the nose to a shape you like. Split apart the dark yarn under the nose into two. Felt each side until both sides are neatly divided. Hold part of the muzzle just below the nose with your fingers. Push up the muzzle yarn below the mouth (on the chin) towards the mouth/nose. 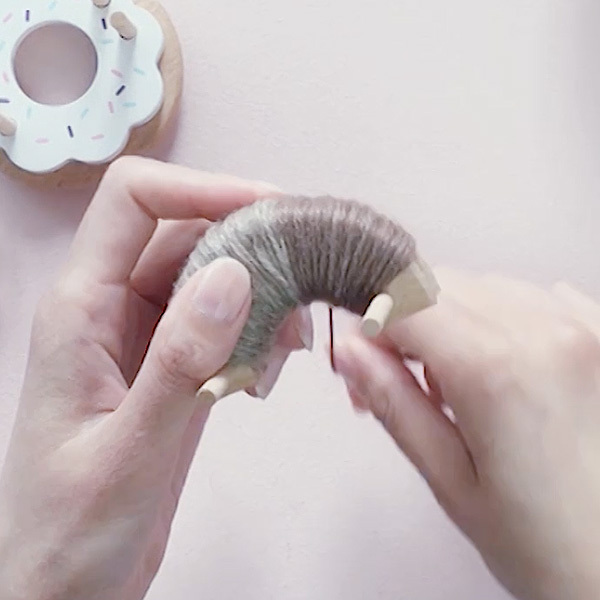 You’ll now have the muzzle yarn separated by the darker yarn in an upside-down ‘Y’ shape. Poke your felting needle through the whole thing towards the center until the mouth shape stays fixed. Trim along the mouth line and tidy up nicely. Hold each ear yarn neatly and felt. 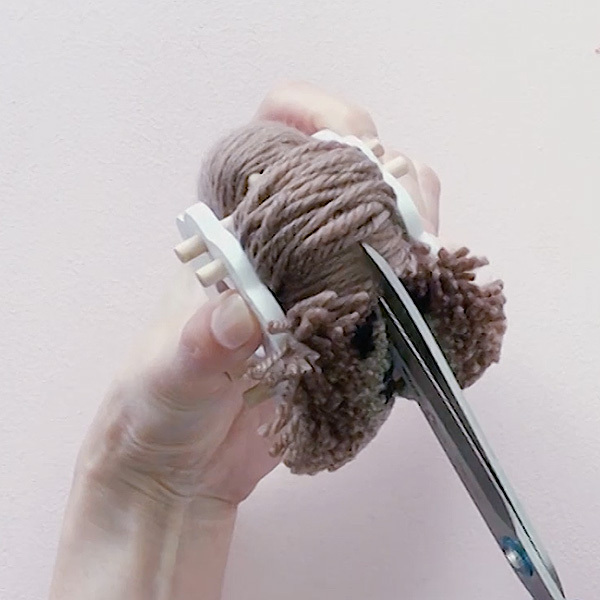 Move your felting needle through the yarn from the sides to bond each thread next to one another. Be very careful. 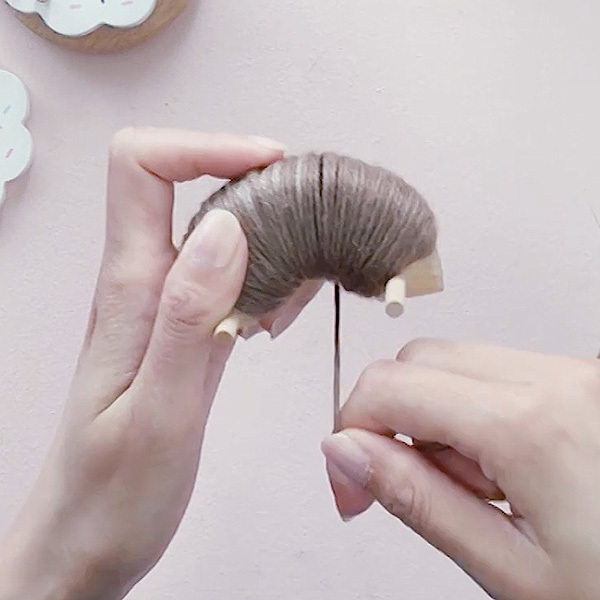 Do this slowly and don’t get distracted – felting needles are very very sharp! 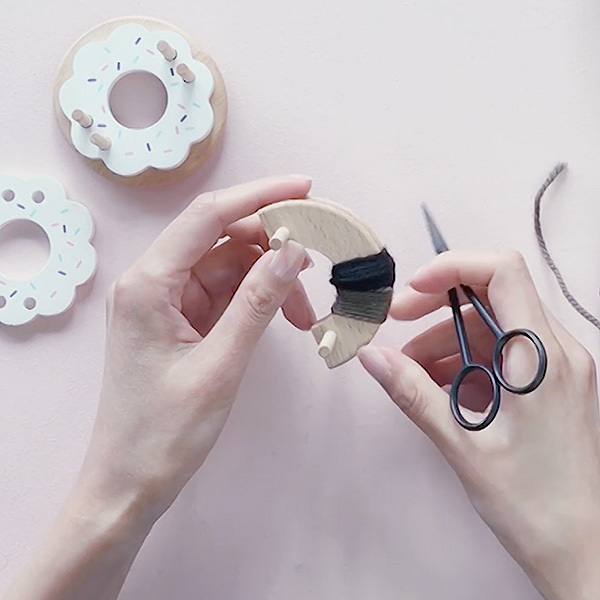 Wear a thimble and use a foam block to felt against if you can. Continue felting until all the yarn’s bonded. 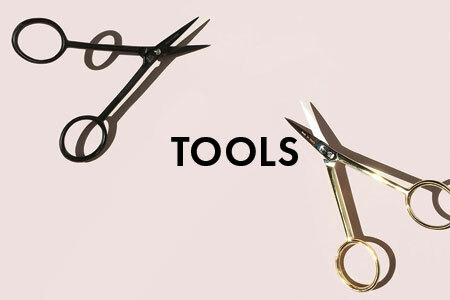 Cut them into round ear shapes. 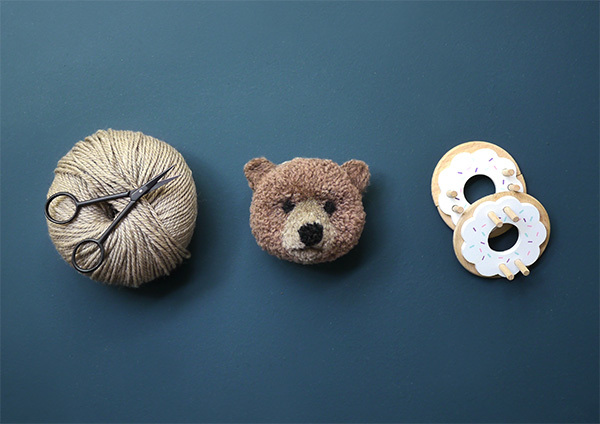 Let’s introduce lots of pompom bears into this world. Make one for yourself and make another to make somebody happy! No two bears are exactly alike, so experiment with different colors, facial marks and features. Brown grizzly bears, polar bears, cute teddy bears with friendly faces, honey loving bears with cute little button noses or big friendly curious noses… You can create many variations by trying different wraps. 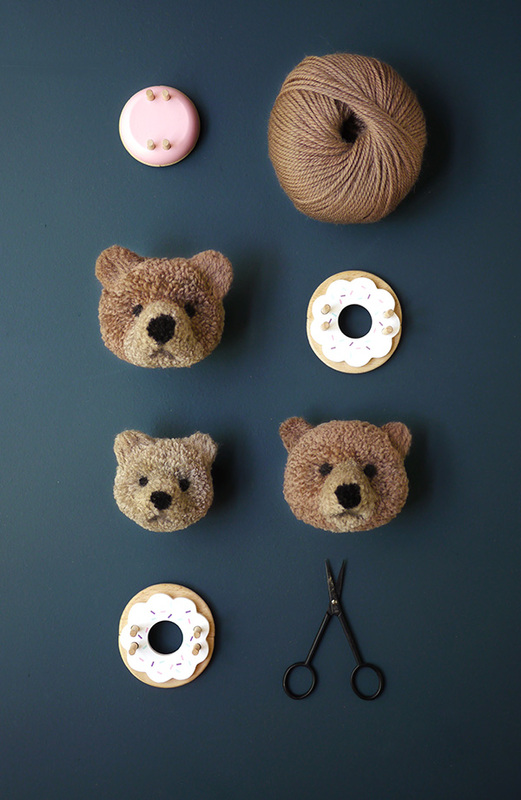 I adore these cute bears, what lovely little gifts for people at Christmas time. Fantastic, can you show us how to do more animals? My daughter is 12 and very DIY crazy comes from a long line of crafters and carpenters. 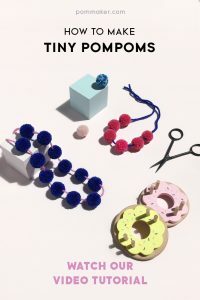 Do you feel like pom making would be something she could do as this is the first I’ve ever seen or heard of it and your tutorial and the way you present it are so intriguing to me I know she’d love to do this I would prefer not to introduce it to her however if you felt she was maybe to young. 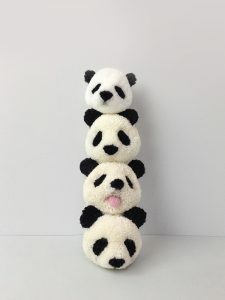 Can you tell me approximately how long this took you as an experienced pom maker and how long your first pom took to make please and thank you so much. Would love to see a body with arms and legs too! Je vous remercie beaucoup pour ces explications. Voir votre travail en direct ( l’élaboration à la main, d’une tête d’ours sous nos yeux) est quelque chose de magique. Merci encore et félicitations pour ce beau travail. Je vai commander le ‘gabari’ nécessaire pour essayer à mon tour de faire rêver mes enfants et mon entourage. C’est un beau partage à l’approche des fêtes de fin d’année. Hi!!! So excited to try these!! 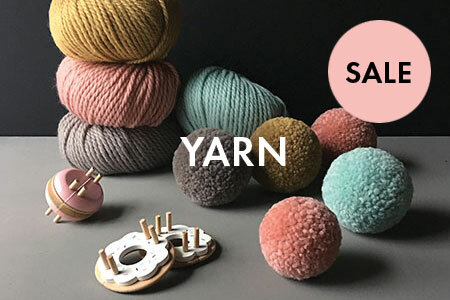 I have a feeling I will need to ditch my pompom makers and use yours, since yours have the pegs to keep the yarns from slipping. 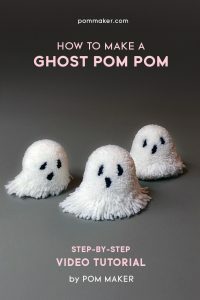 I have a question..Do I need to use only wool yarn for these pom poms? 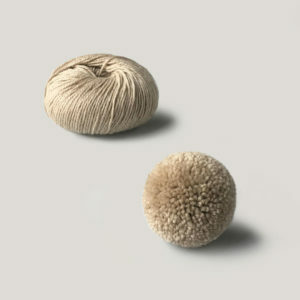 Or will the cotton and acrylic yarns work with needle felting? Thank you for your comment! 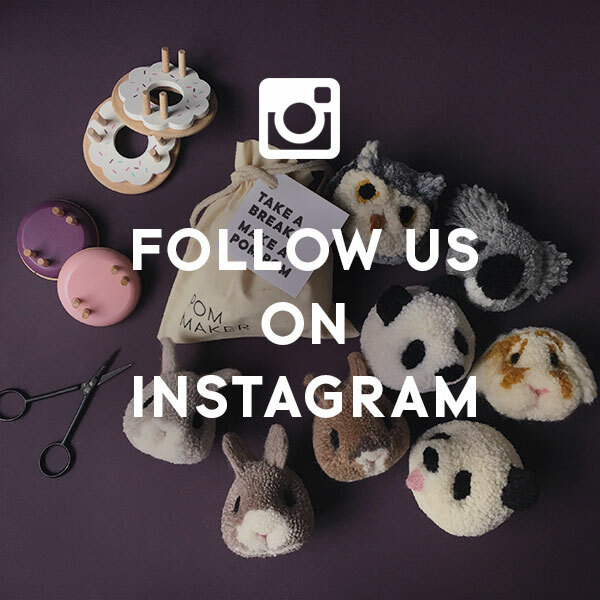 Sorry for the late reply… Wool is the best for needle felting. Acrylic can also work but cotton yarns won’t. Dit is zo lief. Ga het zeker proberen en stuur dan een foto van het resultaat. Vindt het geweldig. Que bello gracias por compartir!!! Eh., that still needs a hell of skills to be successful in making trimming and felting those. Btw, if you squeeze them around, won’t the shape fall apart, because basically you don’t secure them with thread, but only by pushing the threads with a needle.